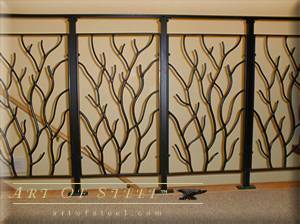 This gate design has a natural feel, with it's tree design it can compliment any driveway. This item comes with solid hinges and a lock and key. you should have an account with PayPal credit card services. next to the item with the desired description. 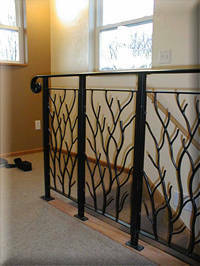 Basic package - includes - 2-Wrought iron gates, 2-steel posts with heavy-duty hinges. Basic package plus - Heavy-duty lock and keys. Question about payment or shipment ?